We sell the replacement height knobs for about $10. If you proceed with your own fix, make sure you use the insert over the bolt to create the proper tension to reduce wobble of the top portion of the leansteer. If you decide to purchase a new knob, our location is in my profile. The threads have stripped on my lean steer height control knob. Adding a washer won't help. Does anyone know the bolt size/diameter & thread count on the tightening knob? The closest I can guess is a #6 UNF fine thread, 40 threads per inch, but I don't know if it may be metric. I don't want to pay $40 or more for a replacement when I can replace it with a hex bolt for under a dollar. 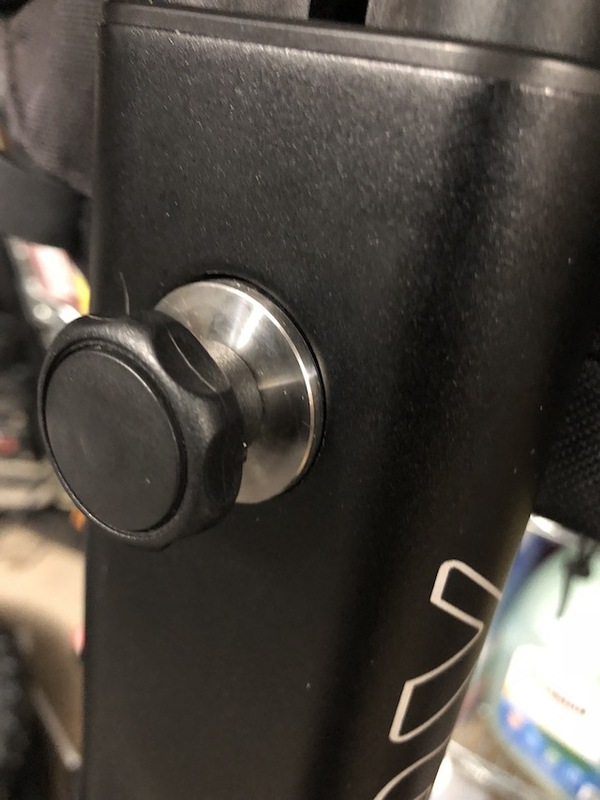 Are the threads stripped on the knob bolt or on the control shaft? I would think it more likely that the shaft threads would strip first, since they appear to be in aluminum. If it's the control shaft, you can helicoil new threads into it. This isn't a fix question, but a general lean steer knob question... my used i2 SE came with this knob. This isn't the "factory" knob, is it? And if not, does anyone know where it's available? It works beautifully - a much, much better replacement than the standard metal slip-grip knob! It seemed like I couldn't get the knob tight enough on the 2007 vintage X2 I just bought. Cleaned up the black plastic wedge piece and the metal track with soap. Then I scrounged a collection of steel washers. With one of them between the knob and the black wedge I was able to get the lean steer mechanism just about tight enough by hand. Has anyone tried using a metal file to rough up the surface of the metal track to get more friction? I don't have a lot of hope. This mechanism seems poorly designed.